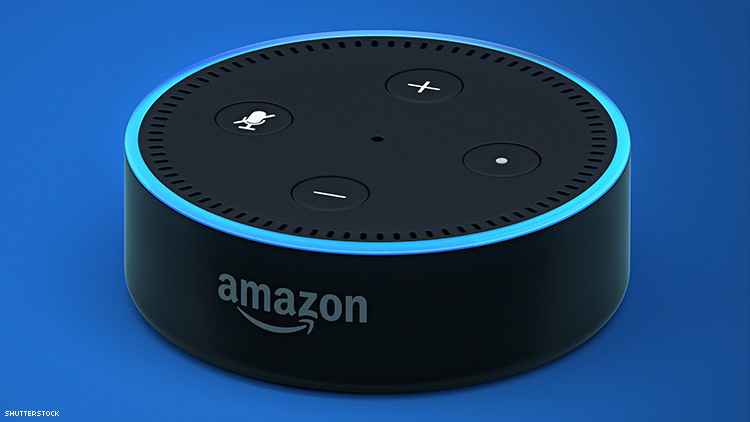 Amazon's Alexa Says This Is the "Voice of Trans"
In anticipation of Sunday’s Transgender Day of Visibility (March 31), Amazon has added a new application built by a third party developer to its AI helper Alexa hoping to spread queer awareness — no, you can’t ask her who she thinks is going to win Drag Race or whether Timothée Chalamet is a bottom (he’s vers and “very oral”). The service will now feature the voice of a transgender man who can be summoned with the phrase, “Alexa, open the voice of trans.” It’s like saying “open sesame,” but clocky! Once users invoke the voice of trans, a transgender man offers to share experiences from his childhood, hating girly clothes and being bullied at school, through his transition and eventual marriage. These stories have been compiled from the experiences of trans people across the world in an effort to educate cis people on how trans folks experience the world. Does Amazon think that all trans people should be referred to as “trans” as if it’s a proper noun? Or maybe the trans version of Alexa’s actual name is Trans, the way Holly Golightly’s cat’s name was Cat? Alexa, open an investigation. Editor's note: this story has been updated to reflect that the Voice of Trans feature was created by a third party developer and to remove information from an incorrect press release.